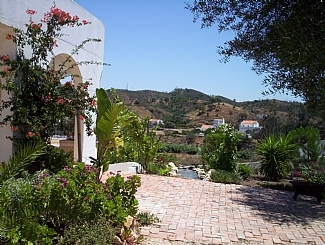 This is a secluded villa and a self contained apartment with a private, heated pool and beautiful mature gardens. 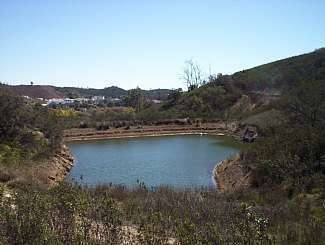 It is set on acres of land in Rasmalho, just north of Portimao. 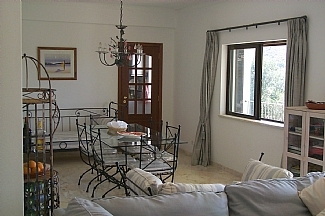 The property is with 10 mins of all major beaches, golf courses and shopping facilities. 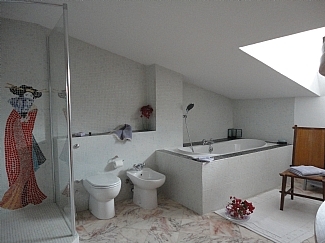 The villa is set on the top 2 floors of the property and comprises a spacious lounge with a log burning stove and glass terrace doors all around, allowing plenty of light and taking full advantage of the spectacular country views. The dining room is an extension of the living area and has a door direct to the kitchen. 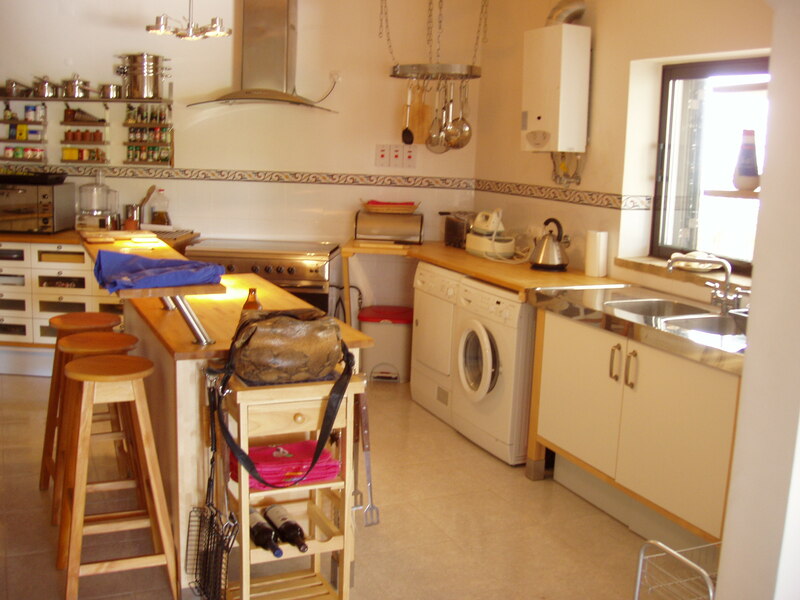 The kitchen is fully fitted with all electrical appliances and everything needed for home-from-home living. Also on this floor is a utility room that contains the washing machine and laundry facilities and there is a separate cloakroom/WC. 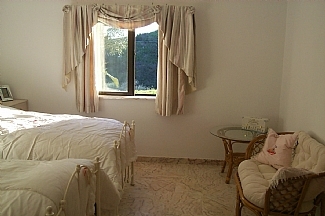 There are 5 bedrooms and 5 bathrooms in the villa. 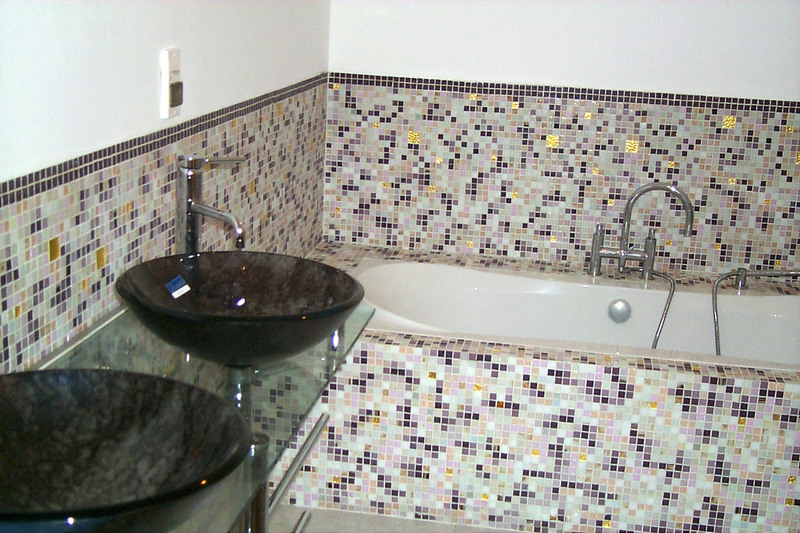 Bedroom 1 has an ensuite bath and shower room, bedroom 2 and 3 each have ensuite shower rooms and bedrooms 4 and 5 share a large bathroom with double bath, walk-in shower with mosaic geisha, twin basins, WC and bidet. 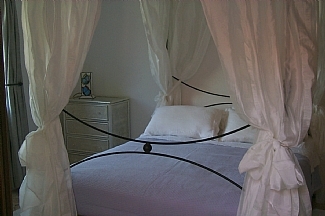 All bedrooms are equipped with air conditioning/heating units and all have top of the range comfortable beds. 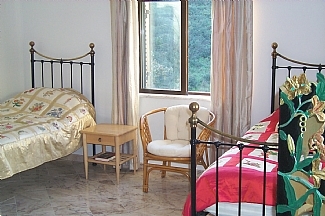 All floors inside are marble and the soft furnishings are luxurious. The windows and patio doors are double glazed with safety glass. 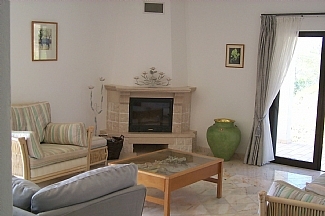 The apartment is situated on the ground floor below the main villa and comprises a spacious, open plan living room with dining area and a fully fitted kitchen. 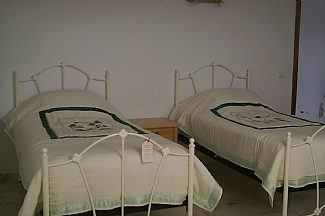 There are 2 bedrooms, both with ensuite bathrooms. 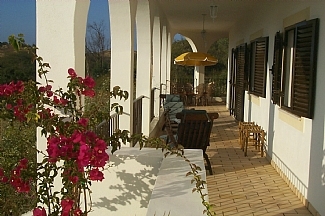 The villa has fabulous mature gardens and 4 terraces, including one with outdoor seating for 12 people and a barbeque. 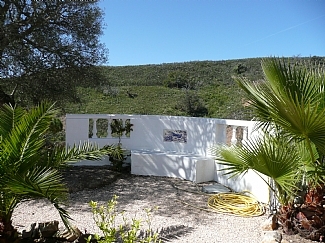 The gardens feature a freeform, swimming pool that can be heated all year round. It has a child’s paddling area with a water spout and a decorative waterfall. 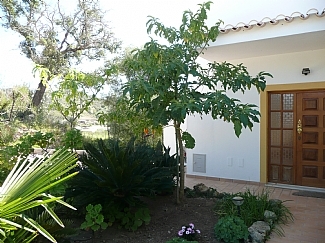 The gardens are enclosed within a retaining wall and include citrus trees, grape vines and a fig tree as well as a variety of palms and many flowering plants. 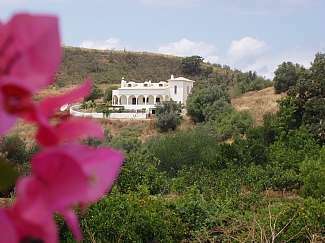 There is approximately 50,000 sq m of land surrounding the property that includes a small river, an olive grove and a lake with terrapins and other wild life. Restaurants, shops and bars are only 500 m away as well as the local bakery and fruit and veg stalls. 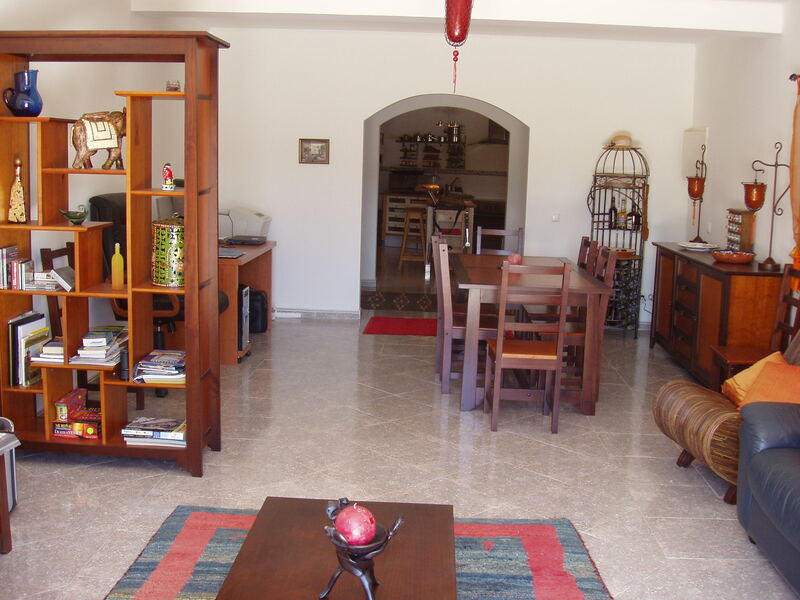 The spa resort of Monchique is a 5 km drive and the town of Silves with a large shopping centre is about 8 km away. 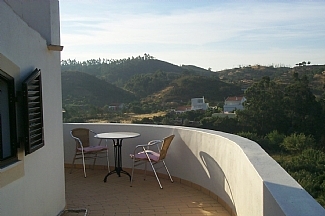 Faro Airport is 70 km from the property, which is mostly motorway. The nearest beaches are Praia da Rocha, Praia do Vau and Alvor, about 12 km away. 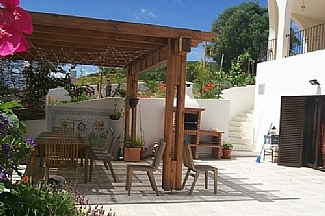 The picturesque village of Alvor has a wide range of shops, cafes, restaurants and bars. There are numerous golf courses within 10 mins drive, ideal for lovers of the sport. 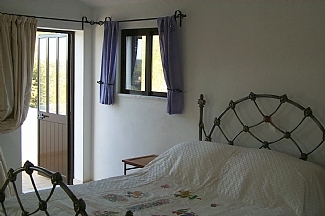 The property is set in a relaxing and peaceful area with stunning countryside views. Set on an elevated site overlooking its own private lake and woodland areas, it is the perfect holiday home. Lounges have dining tables, chairs, sideboards and sofas. 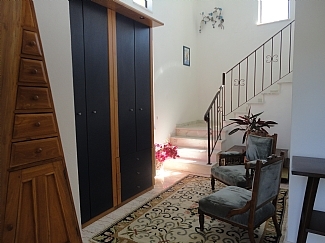 Kitchens to the main villa and the separate apartment are both fitted with twin/double ovens, double hobs, American fridge/freezers, washing machines and, in the apartment only, a drier. 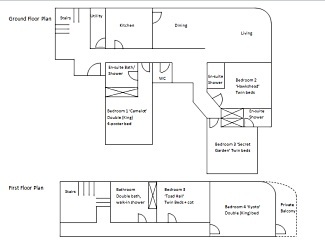 All bedrooms have extensive fitted cupboards.